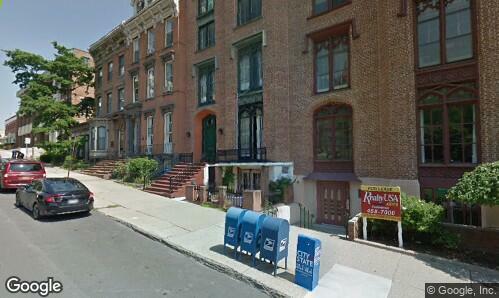 CICU's office is in an historic brownstone in downtown Albany, near the New York State Capitol. Transportation: If traveling by Amtrak, choose station stop Albany/Rensselaer. Call 1-800-USA-RAIL for schedule and rate information or visit www.amtrak.com. The Yellow Cab company (433-0300) services the Albany/Rensselaer station; taxis leave from the station regularly. For air travelers, the nearest airport is the Albany International Airport (www.albanyairport.com). Visitor Information: For more information about lodging, dining and events in downtown Albany, visit the Albany County Convention & Visitors Bureau web site (www.albany.org) or the Albany Business Improvement District site (www.downtownalbany.org).